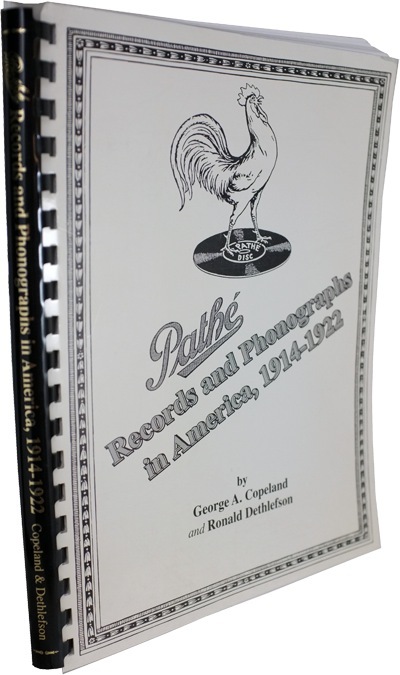 This book tells the story of the American branch of Pathé-Freres and its unique records and phonographs, plus recording artists, patents, manufacturing processes, and dating guides. Over 200 photographs and charts are shown. In addition, all known Pathé record labels are shown in their original colors. Scores of recordings are listed in the facsimiles of original release sheets. The book contains over 150 pages, plus illustrated end papers. Ring binding, soft cover. This is the Revised 2nd edition of the book. 50 copies are available, and when these are gone, the book will not be reprinted.